TAMPA (October 10, 2018) – Travel agents and tour operators around the world can now discover the trove of exciting adventures awaiting their clients in Tampa Bay as they plan their next Sunshine State getaway. Visit Tampa Bay has launched its first online training module to introduce travel professionals to the hip, urban heart of Florida’s Gulf coast. The training is now live at Online Travel Training or Visit Tampa Bay websites. The training comes in English and Spanish. "Tampa Bay is at the forefront of U.S. destinations seeing strong growth in international travel," said Santiago C. Corrada, President & CEO of Visit Tampa Bay. "We have recently added nonstop flights from Germany on Lufthansa and Switzerland on Edelweiss. With new flights from London via Norwegian Air starting this month and flights from Amsterdam beginning in 2019 aboard Delta, now is the time for travel professionals all over the world to discover the kind of authentic adventures their clients will treasure here in the hip, urban heart of Florida&apos;s Gulf coast." 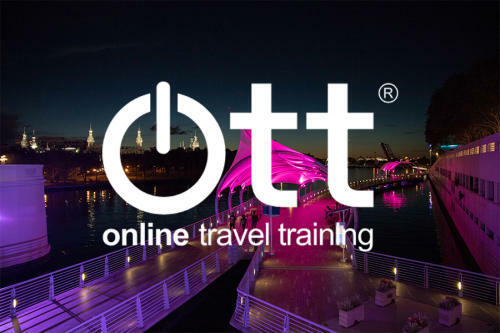 UK-based OTT Inc., the most respected source in online travel training, hosts the training, which includes units highlighting Tampa Bay’s unique blend of culture, history, attractions, and fun. More than 190,000 travel professionals used OTT modules to keep current on destinations around the world. The hip, urban heart of Florida’s Gulf coast beats in Tampa Bay. Visit Tampa Bay encourages adventurous travelers to unlock sun, fun and culture in Florida’s most diverse travel destination. We are a not-for-profit corporation that works with 800 partners to tell the world the story of Tampa Bay. Treasure awaits.